It was OK but I didn’t enjoy this book as much as the others. I don’t know why?? 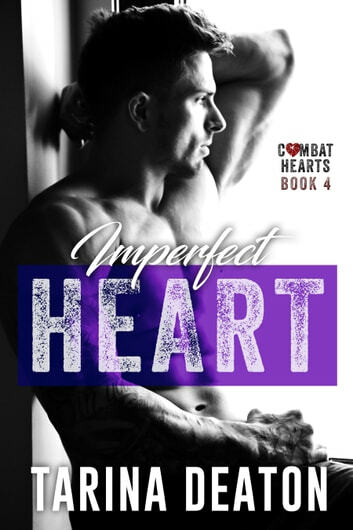 The fourth and final book in the series of Combat Hearts. It is well written and has a nice storyline and plot. Written in dual POV which gives the reader a lot more of the thoughts and feelings of the main characters. The characters are likeable and well described. They develop nicely and have a great chemistry. Both characters are strong but have a past where they both have bad marriages and because of that hurt a lot. The story flows well of the pages. It is written in a writing style that captivates the reader and sometimes you feel like a fly on the wall. A story with a mix of fun, drama, suspence, intrigues, passion, compassion, exes, family issues and twists. An emotional roller coaster. This couple has a lot thrown down at them and it was a great read to follow their journey to their HEA.